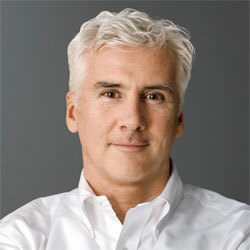 David Apel is a Senior Perfumer of fine fragrances at Symrise. He began his fragrance career in 1980 as a compounder at Givaudan, where he became a Perfumer in 1988. Apel left Givaudan for four years in 1997 and went to work at Fragrance Resources, but returned to Givaudan in 2001. He was hired at Symrise in October 2007. David Apel has created fragrances for Cerruti, Giorgio Armani, Calvin Klein and Hugo Boss.